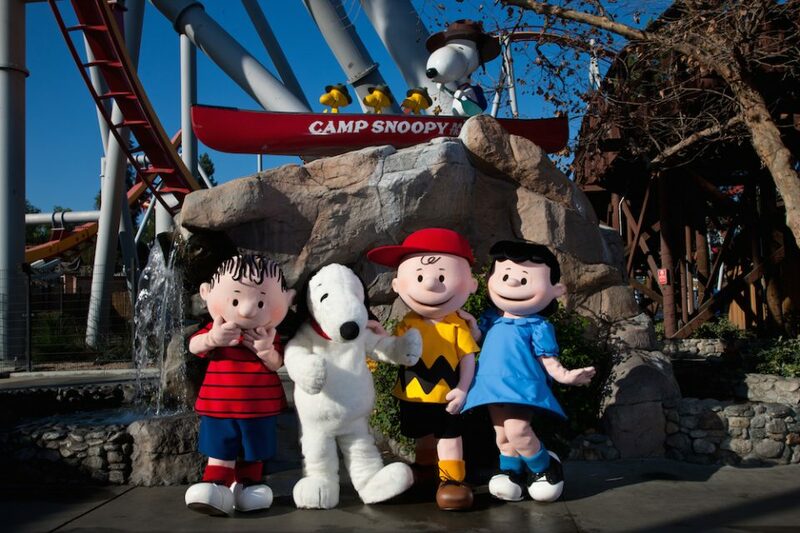 When compared to nearby California theme parks, seeing Snoopy and the Gang from the Peanuts comics and cartoons may concern thrill-seekers walking into Knott’s Berry Farm. How could this possibly compete with steep coasters of Six Flags and Disneyland’s charm? Just what, exactly, are you walking in to? The answer to that question is a resounding great day of squeaky clean fun. Now, I love roller coasters, and I don’t think of the Haunted Mansion at Disney a “scary ride”; I do need a certain degree of fun and/or thrills for me to justify paying to go a theme park. 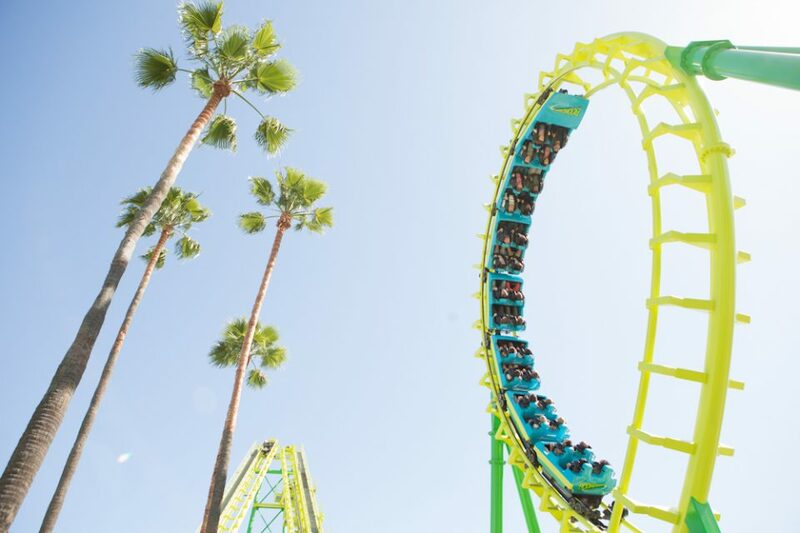 But unlike other theme parks who really gun for “family friendly fun” with nothing but dark rides covered in black light paint, Knott’s Berry Farm feels more like Diet Six Flags, with a great mix of kiddie rides, family rides, and actual coasters. And for what you would spend on a One Day Park Hopper ticket to Disney World, you could get an all-inclusive one day package to Knott’s. 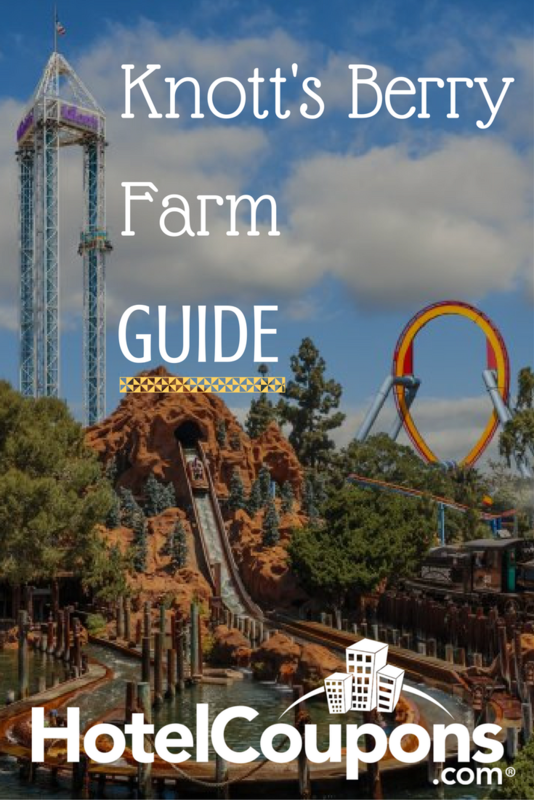 To make the experience of your trip to Knott’s Berry Farm even better, here are five tips to get the most out of your visit. Just like other major theme parks, Knott’s has a “line cutting” pass like Disney’s FastPass or Universal’s Express Pass. Like the Express Pass, Knott’s Fast Lane is a separate cost in addition to your ticket and isn’t included like FastPass would be. However, there are a limited number of passes that Knott’s sells each day, and they don’t work for all attractions. Weigh the pros and cons, because purchasing a Fast Lane could cost more than your actual ticket does. Unless you hate the idea of saving money taking the family out, definitely buy tickets online. Purchasing your tickets straight from their website has some serious discounts, and even has several packages available. Whether it includes Fast Lane tickets or multiple day passes, you’ll save a ton by buying online in advance. A one day ticket alone saves you $22 online; this definitely adds up when taking a group. If you absolutely can’t buy tickets ahead of time, most days have a discounted ticket price after 4 pm; sure, you have less time to do things, but many people clear out the later it gets, so it may actually work out better. Everyone loves Halloween, and many people love the special Halloween season events held at their favorite theme park. But whereas Disney hands out candy and throws another parade with singing, Knott’s Berry is the grandfather of spooky theme park events. Knott’s Scary Farm is on-par with Universal’s Halloween Horror Nights. And like Halloween Horror Nights, Knott’s Scary Farm is a separate admission ticket that needs to be purchased. 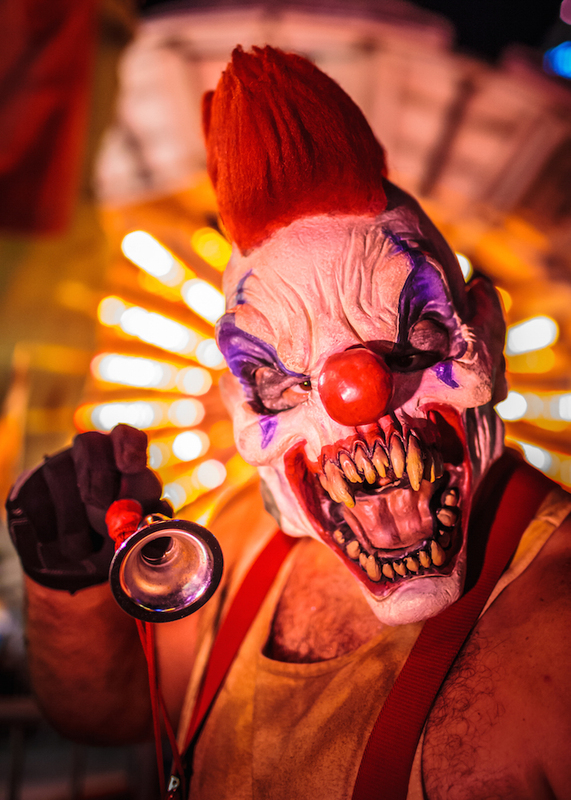 The park’s festivities feature mazes, haunted houses, all manner of things going bump in the night, and more. These aren’t just cardboard cutouts of Snoopy dressed as a bed sheet ghost; these are real areas designed to fright and delight horror fans. Even though the theme park is home to a great balance of family fun and thrills, after dark it’s probably best to put the kids to bed. Anyone who has had to buy theme park food knows you’re paying out the nose for mediocre fast food. Knott’s Berry Farm is 15 minutes away from fast food and fast casual dining options. Unlike Disney or Universal who keep you on miles of their property, overcharging you for burgers, Knott’s has access to chain restaurants like McDonald’s and TGI Friday’s. Best of all, as long as you keep all of your tickets and receipts, you won’t be paying to come back in to the parking lot or theme park. If you don’t foresee yourself leaving for food and coming back, check into the park’s meal plan. Even though you’re paying for an added service, you could really save some money on food with it. For an extra $32 you can get an entrée and a side from several counter service restaurants every 90 minutes all day long. You’re probably going to spend at least half of that for one entrée at a theme park anyways. Luckily, there are options to purchase online as well, getting you fed faster, or even adding it to a combination ticket. This may seem like an obvious tip, but many families arrive to a theme park completely clueless about what they’re going to do that day. As a result, they spend most of the trip with their noses buried in an upside-down map and missing most of the fun. 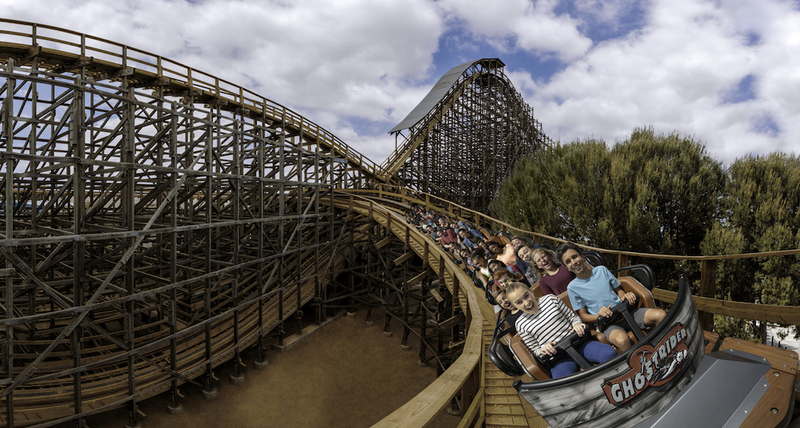 Decide what you and your group are looking for that day, because Knott’s has it all; the faster, scarier rides are going to have the longest wait times out of anything else, so try to do those either first or last when the crowds are the thinnest. Find out if there’s adjusted park hours or not, especially if you’re planning on going later in the day. I have seen countless people go to a theme park, pay full ticket price at the gate, and then realize they won’t even have time to do most of what they want due to a special event. Especially on nights with Knott’s Scary Farm events, they may close the park early to general admission tickets. Before buying the added Fast Lane ticket, decide if you need them for everyone, or just the thrill seekers of the group. If you’re the only one doing thrill rides, let everyone else do a less-than-scary ride while you hit the single rider option. If you’re traveling with a group of younger kids, or a mix of young kids and older kids, find out ahead of time what rides are going to be “too kiddie” or “not kiddie” enough for them, as well as character meet and greet times. If you’re purchasing the all day dining plan it’s a good idea to map out where the participating restaurants are, as well as which attractions you plan on hitting (and which ones sound like they spin). Doing this gets you to your next eating period faster than waiting until you’re hungry to figure out where to go. 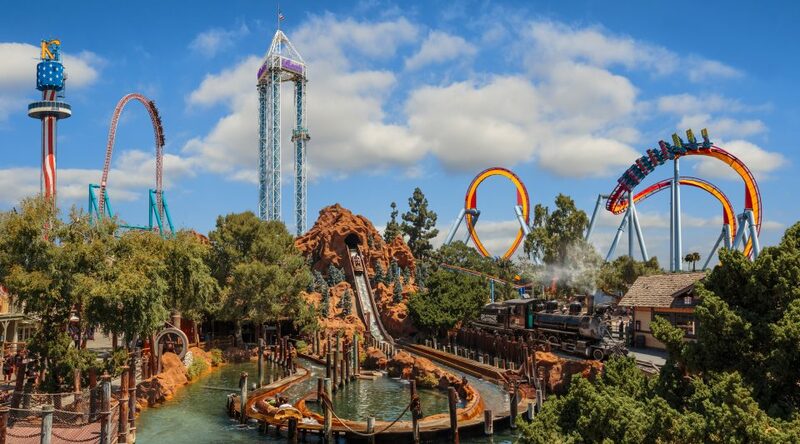 That’s all for our tips to get the most out of your visit to Knott’s Berry Farm. If you have any travel memories from visiting the park, share them in our comments or on social media – we love seeing your travel pictures!